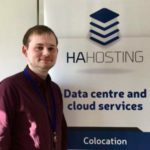 So, we’ve chatted about Colocation before and it’s one of the core services we provide here at HA Hosting. But what exactly is Colocation? Colocation is a service where a provider will offer the facilities to hold your physical servers for you. They will provide power, internet, temperature management and security, to make sure your server stays running as much as possible. They will often have rack space available, to which your server(s) are installed. You are then giving the appropriate information and means to access your server 24/7. The biggest benefit is that you can have the benefits of having your own servers but without the huge costs of setting up your own server room. This is often ideal for IT companies who have a lot of servers but don’t want/have the room to store them all in-house. Colocation services are usually paid for month by month. What’s the Benefit of Colocation? The biggest benefit is that you can have the benefits of having your own servers without the upfront/ongoing costs. Setting up and managing a server room is expensive after all. This is usually much better for businesses who don’t need to necessarily have their services immediately on-hand. Another benefit is that the facilities/process are specifically put in place to ensure constant uptime/access. On top of this the conditions of the server and server room are monitored by experts. So, if anything goes wrong you can be informed straight away as well as fix the issue as soon as possible. To go with this, we follow the ISO27001 framework to help ensure data security. The security of your data shouldn’t be something you should have to worry about! Another benefit that people forget about is that it means your servers are kept off-site from you. Which means in the case of any fires/floods/theft, that your data/servers are kept safe. Meaning your services can stay up and consistent no matter what. You make think initially yes. However, when compare to the costs of keeping and managing your own server facilities the cost is significantly less. It’s no secret that constant server maintenance can be expensive. The hardware alone can cost a small fortune. Also, if your business means you need those server facilities for it to operate, then it’s usually worth the investment. This blog post has just gone over some of the basics of Colocation. If you would like to know more about Colocation you can take a look at our Colocation page on our website, which will tell you a lot more about it. From tech specs to overall usage. Also, if you have a specific question about Colocation or want to know if it would be right for you, you can get in touch with us here. We’ll get back to you as soon as we can, hopefully giving you the information, you need. Feel free to follow us on social media if you want to keep up to date with what we’re up to.